The 1 percent club is another free binary options trading software. The developers of this software claim that if you want to video you’ll be able to me $21,000 or more in the next two hours. These types of claims are just ridiculous and you need to be very careful when faced with opportunities that look too good to be true. Today I’ll be providing a review of this new supposedly free trading software(the1percentclub.net) and letting the binary today readers understand what approach to take. The developers of the 1 percent club are obviously trying to take advantage of the understanding that 1% of the worlds population hold 99% of the wealth. I put together this website hopes that you connected with this message and are convinced enough to deposit money with their required broker. Afterwards you will likely receive some sort of software and then in a week or two all the money you deposited will be gone. Why do I believe this? 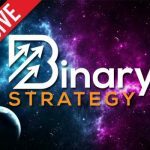 Simply, every single free binary options system that makes you sign up and deposit with the broker like the 1 percent club has failed. Now why would we bother in testing our hard earned money in a concept that has never generated in time despite there being hundreds of free binary system developers. What we found here in our research at binary today is that it is very common for the free software being provided is often the exact same software that has failed many times in the past. I’m not saying that that is the case this time with the 1 percent club that there is really no reason for us to get involved with this trading strategy anyways. I will not be recommending the 1 percent club to any binary today readers. Please do your best to avoid any free binary options software that looks like this. There are simple things that you can pay attention to which will help you stay away from software like these. They all have a video, an email subscription box, require a deposit and give you something free after the deposit. Stay away from systems like these and you’ll do just fine in binary options. Thanks for coming to read my article today and please check out the rest of the website.